The Lakers' latest mishap on the court has led to the team's playoff odds to drop drastically. 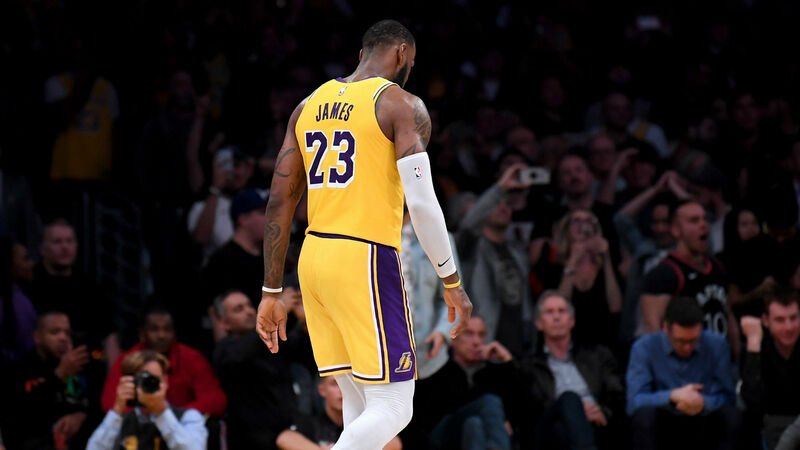 After a 118-109 loss to the Suns on Saturday, the lines in Vegas don't favor the LeBron James-led Los Angeles squad. The Lakers now have +600 odds to make it to the playoffs at the Westgate Las Vegas SuperBook as of March 2. It's their worst odds all season. How does this translate to your pocket? A $100 wager would win $600. Los Angeles is also an astonishing -900 favorite to miss the postseason altogether. The team was +240 to make the playoffs before Saturday's game in Phoenix and had -110 odds at the All-Star break. The Lakers (30-33) are 4.5 games behind the Clippers for the eighth spot in the Western Conference. According to ESPN's Basketball Power Index, Los Angeles has a 0.9 percent chance of making it to the postseason. If LA does miss out, it would be the first time James hasn't reached the playoffs in 13 consecutive seasons.